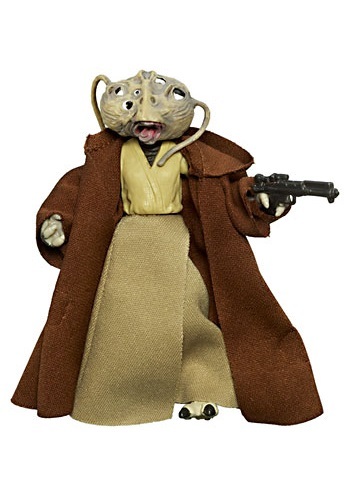 Wioslea was the salesperson for Spacesport Speeders in Mos Eisley. Being a wheeler and dealer in Mos Eisley is no walk in the park, even for established hagglers. She knows the market value of Luke's landspeeder when he and Obi-wan try to sell it to her, and she knows exactly how much money she's going to make off of it. Fortunatley for Luke, his partner employs a Jedi mind trick to convince her to pay top dollar. She's going to be kicking herself later!